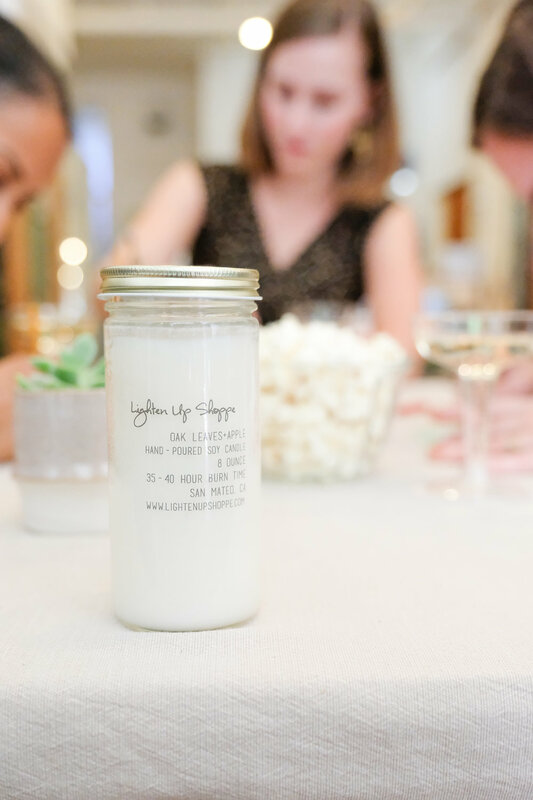 Join us Sunday March 24th, 2019 at 10am for a special candle making workshop with Hyunny of Lighten Up Shoppe. Hyunny will demonstrate how to make your very own candles teaching you the process from beginning to end. You'll go home with at least two candles mixed with your very own scent combinations using a variety of essential oils, fragrance oils, and dried flowers. Lighten Up Shoppe was founded by two sisters, Joy and Hyunny in sunny northern California. Lighten Up Shoppe was created out of Joy's love for candles and Hyunny's obsession with crafting. The warmth and glow of a candle can transform any room into a sanctuary. After a long day, take a moment to breathe, light a candle, and lighten up! As always, we'll provide some drinks and snacks to fuel your creativity, and the opportunity to privately browse our selection of handmade clothing, accessories, and homewares. We'll even give you a special discount on gather purchases that night! Be sure to sign soon, spaces will fill up fast.